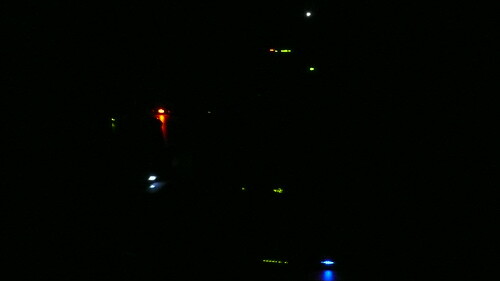 I have a bevy of electronic devices in my room that basically function as nightlights. When I get up in the middle of the night, even as bad as my eyesight is, I can see where everything is without bumping into anything. Here’s a list of devices, and the type of light they provide in order of brightness and type of lights. Throbber for steady dimming/brightening, Flickering for rapid on/off, and Steady for staying at the same brightness indefinitely.